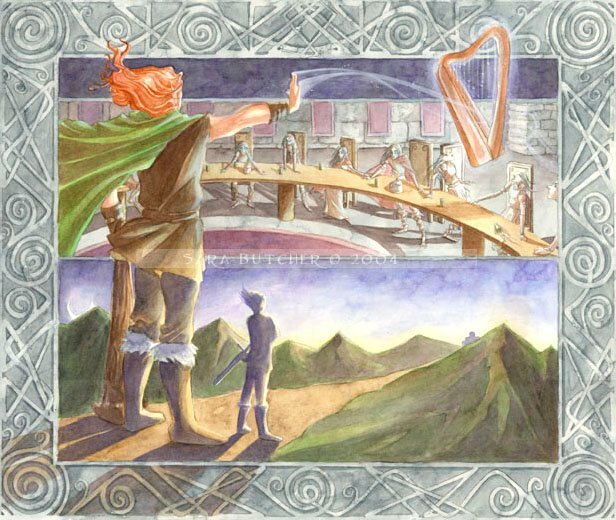 "and the Dagda touched his harp"
The harp has a significant place in Irish Mythology. It is depicted as a powerful manipulator of emotions and bodily states, endowed with the ability to make those who hear it laugh or cry uncontrollably, and it also has the power to induce sleep. 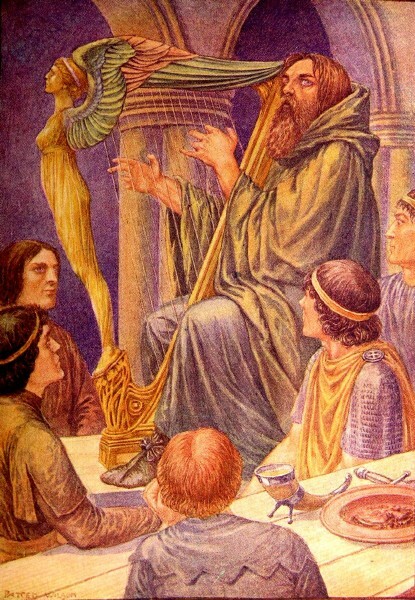 These properties of the harp are illustrated in the episode of the harp of the Dagda, which appears in the Lebor Gabala, or the Book of Invasions, which was recorded in a text called The book of Leinster, was written in the early 12th century, as a recording of pre-Christian oral stories. Lugh Samildanach, one of the early kings of the Tuatha De Dannan (Irish fairies) also shows his skill as a harper in the Lebor Gabala, he utilises all of the three magical strains to impress the court with his skill, where the Dagda uses the mirth-strain, the sorrow-strain and the sleep strain later in the narrative to punish the Formorians for stealing his harp. 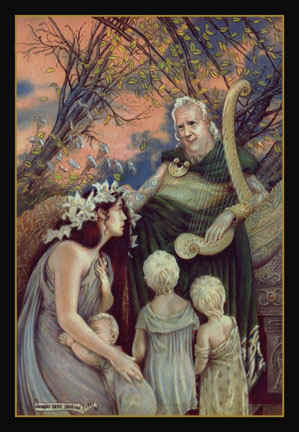 Another notable mythological harper is Aengus Og, a handsome youth and son of the Dagda, whose golden stringed harp of silver has the power to attract birds and wild animals, and also the power to attract and bespell maidens. 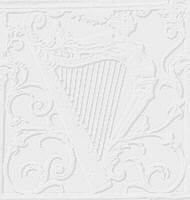 The harper, as well as the harp, figures highly in Irish myth. In the Lebor Gabala the Dagda goes right to the enemy's camp to rescue his harper Uaithne and his magic harp. In another of the Irish myths, the Ulster Cycle, the army of Connacht takes their harpers with them to battle. The tables are turned on Aengus Og when a beautiful lady harper comes to him in his dreams for a year and causes him to pine and waste away for the love of her, until his father, the Dagda, ascertains the cause of his malady and tells him who the lady is and where she can be found.